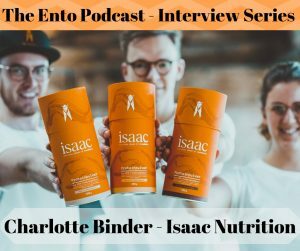 This entoview is with Charlotte Binder from Isaac Nutrition @isaac_nutrition. isaacpure is the pure, unprocessed flour of the Buffalo worm. In addition to a high protein content, Buffalo also provides you with unsaturated fatty acids and dietary fibres as well as numerous minerals and vitamins (see nutritional values). isaacpure is versatile. The insects are bred and processed in the Netherlands. The use of pesticides, antibiotics, hormones and preservatives is completely eliminated. 100% Buffalo worm, nothing else.